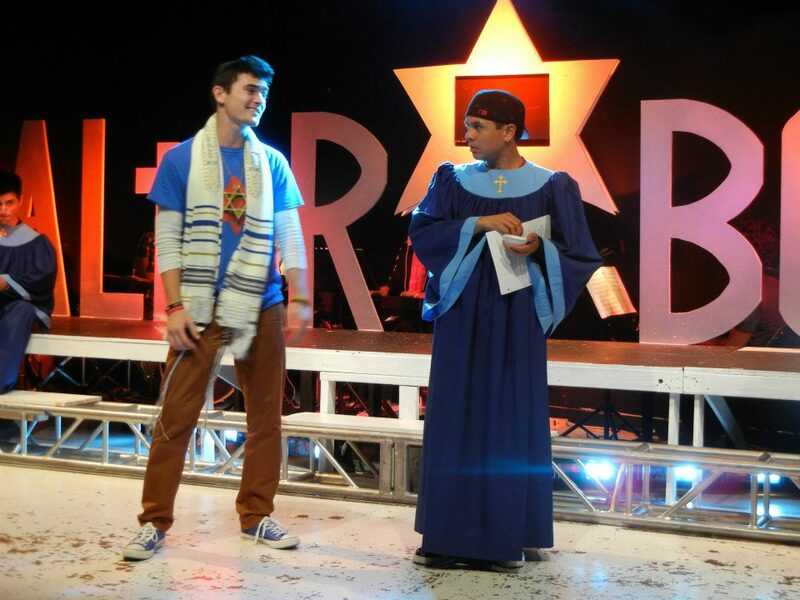 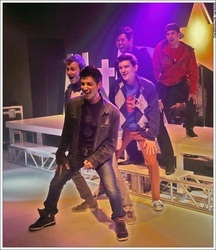 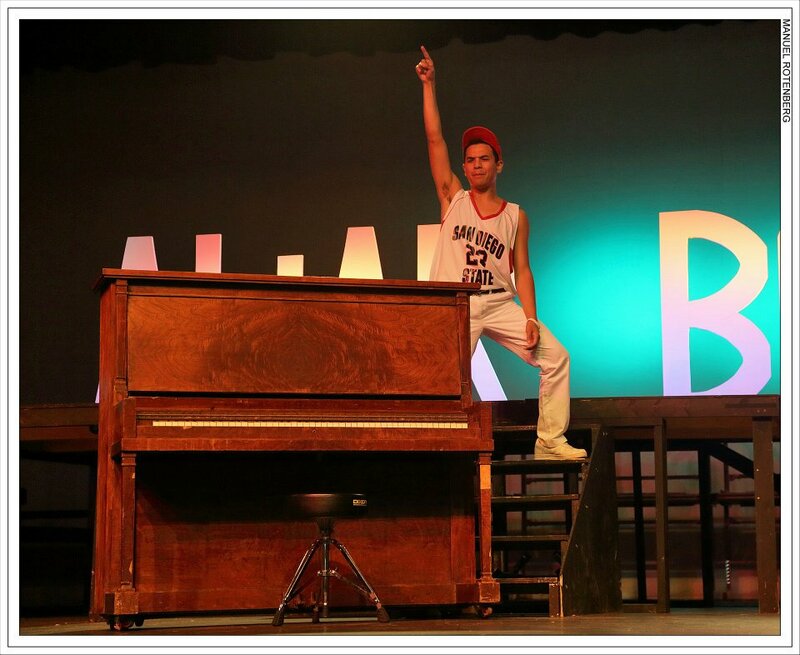 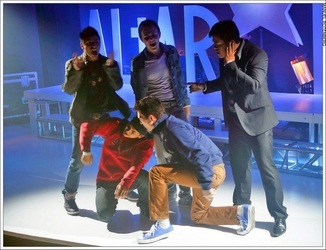 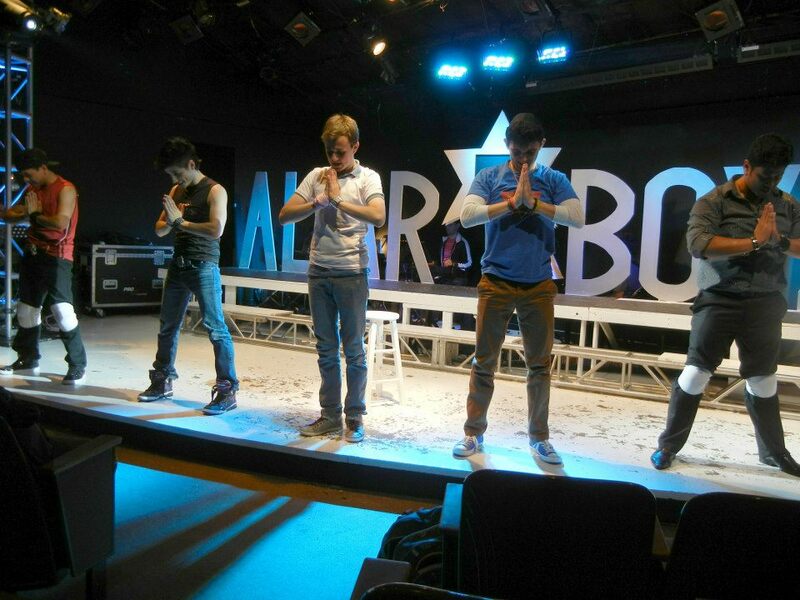 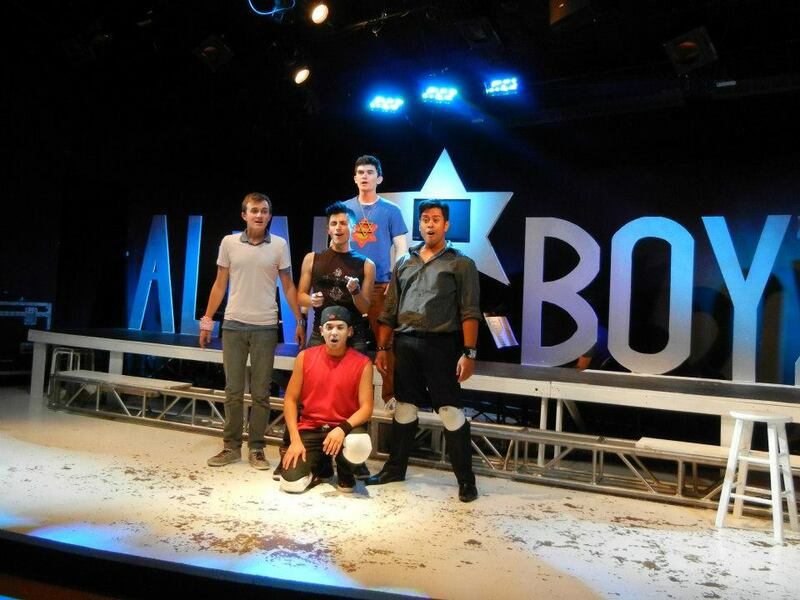 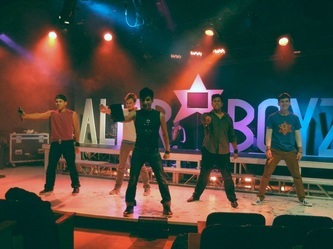 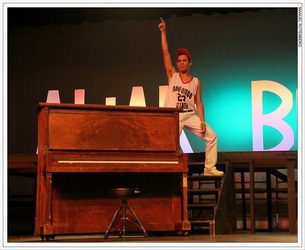 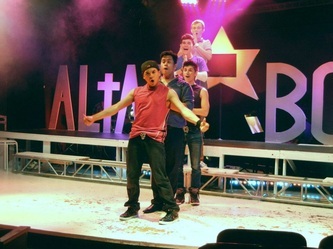 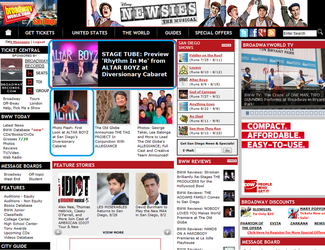 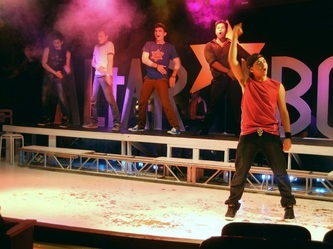 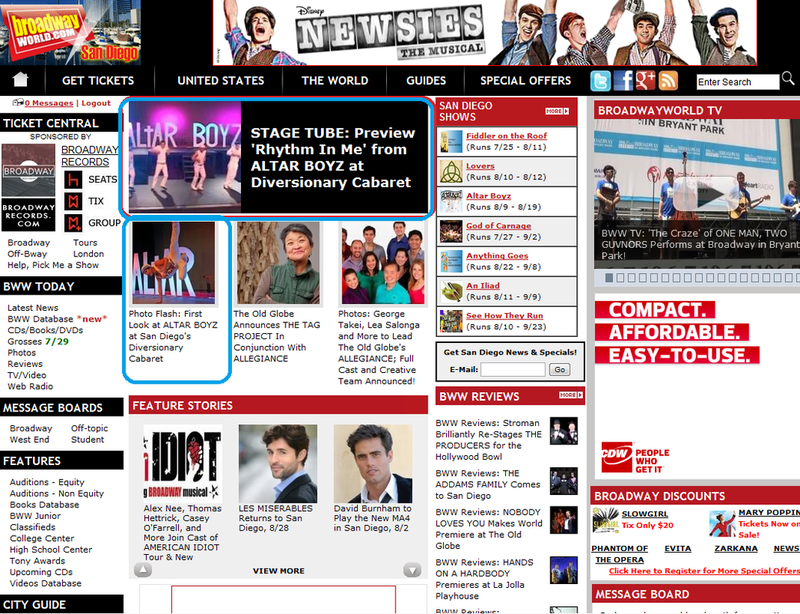 Altar Boyz was recognized by Steven Stanley and StageSceneLA! 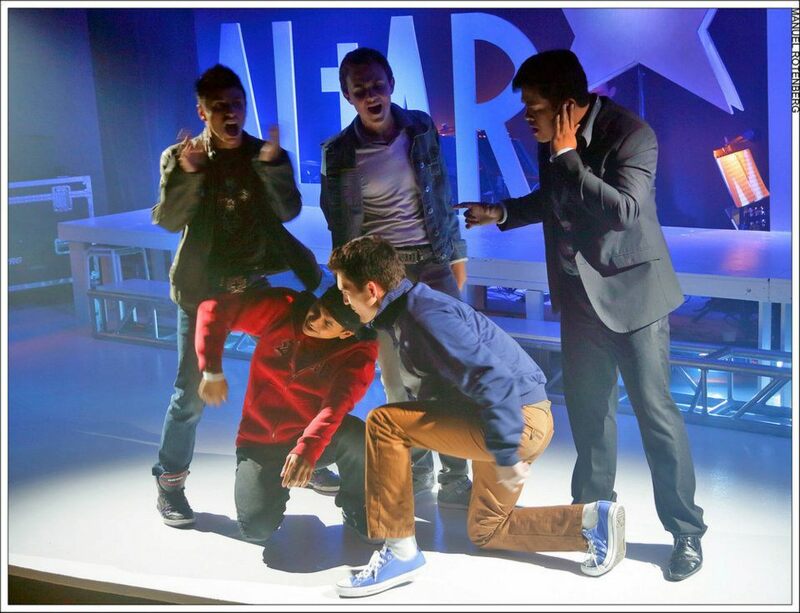 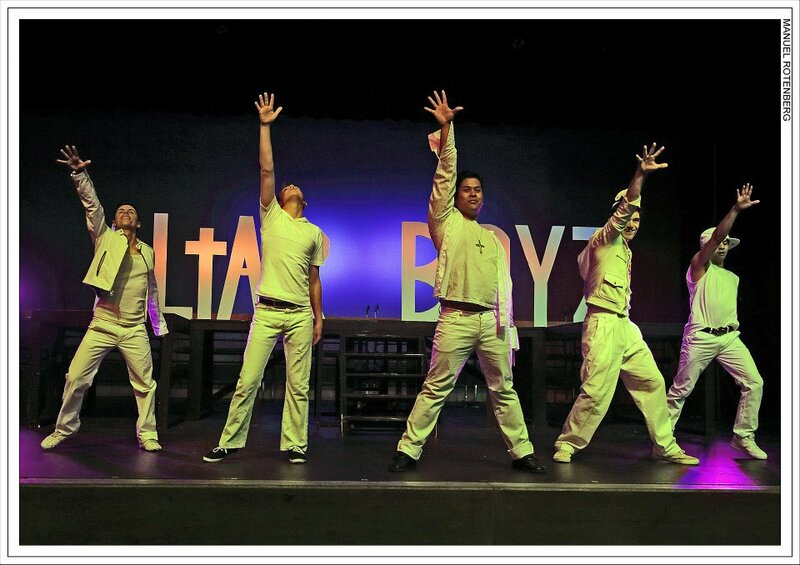 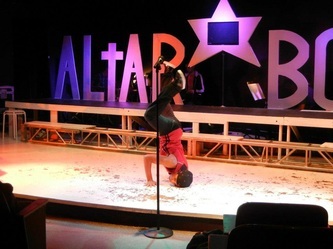 Altar Boyz is a foot-stomping, rafter-raising, musical comedy about a fictitious Christian boy-band on the last night of their national 'Raise the Praise' tour. 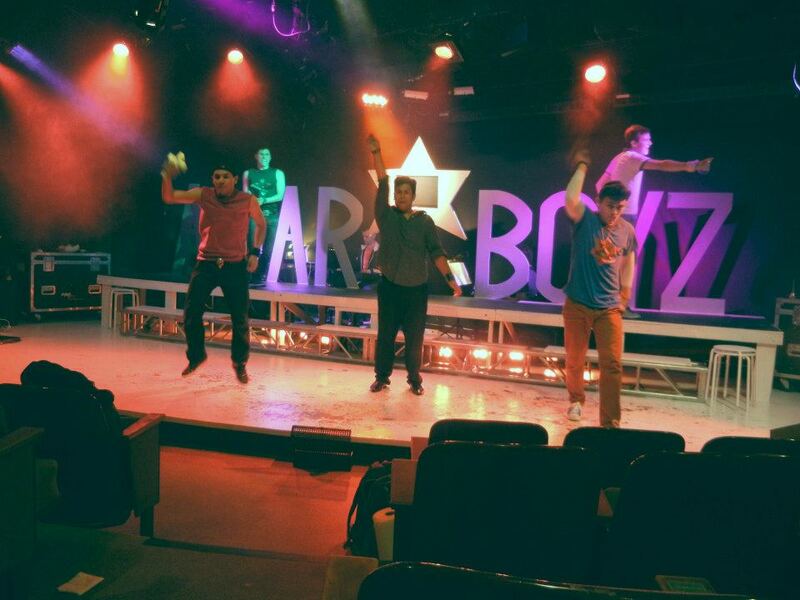 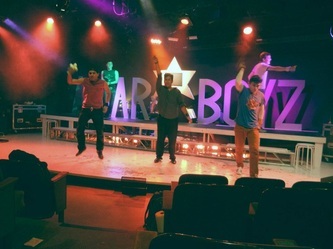 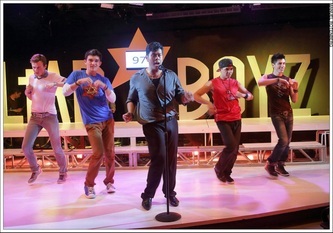 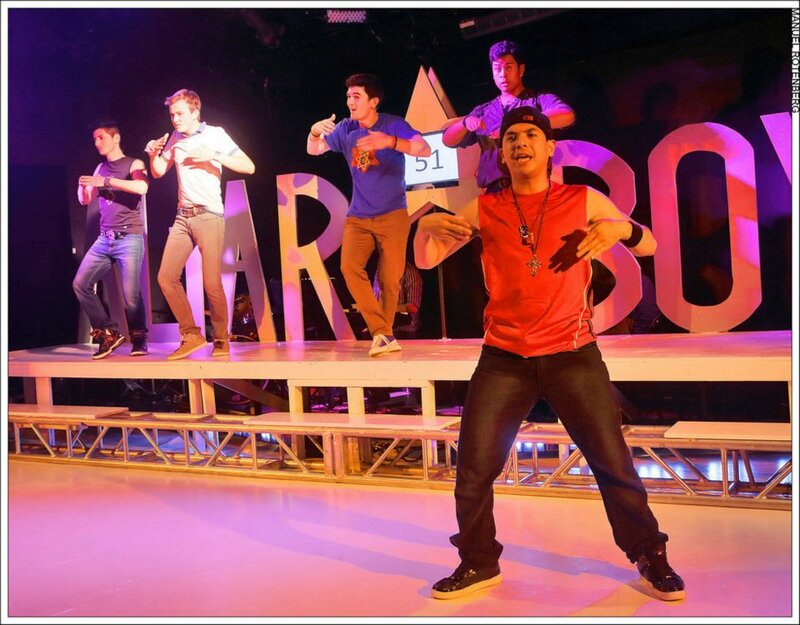 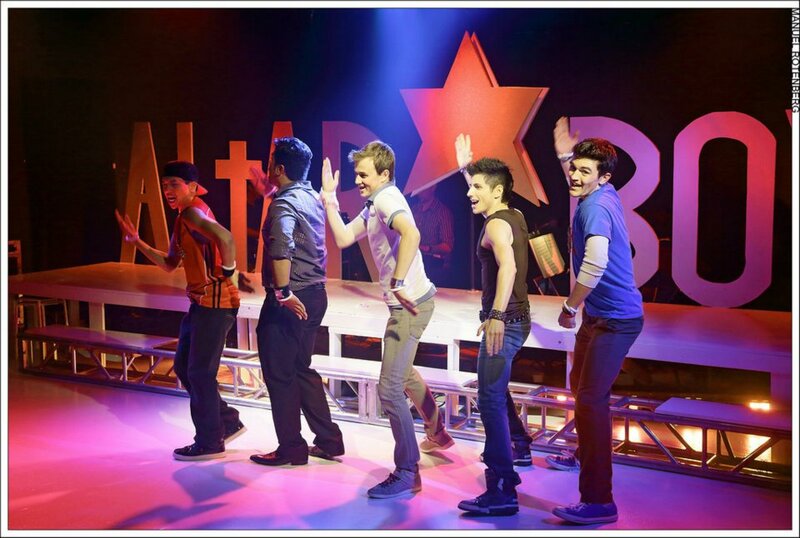 The Boyz are five all-singing, all-dancing heartthrobs from Ohio: Matthew, Mark, Luke, Juan and Abraham. 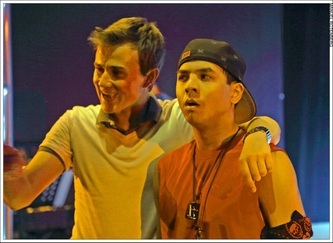 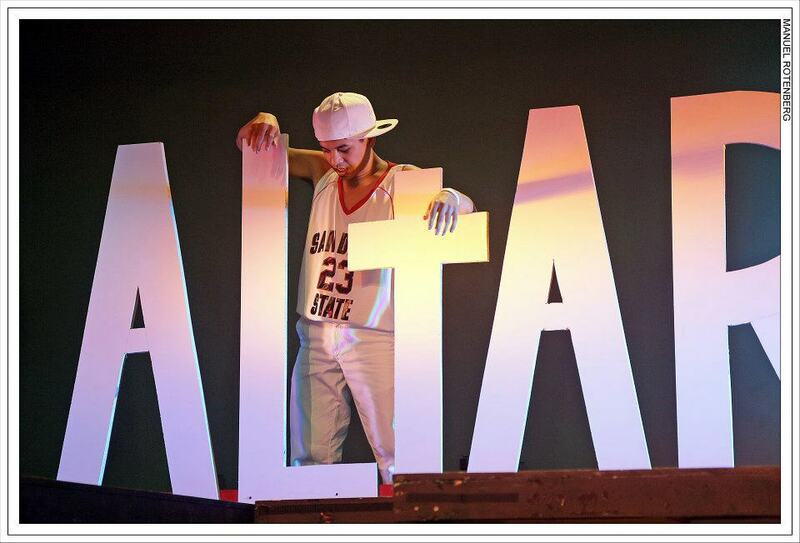 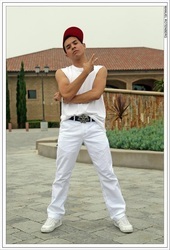 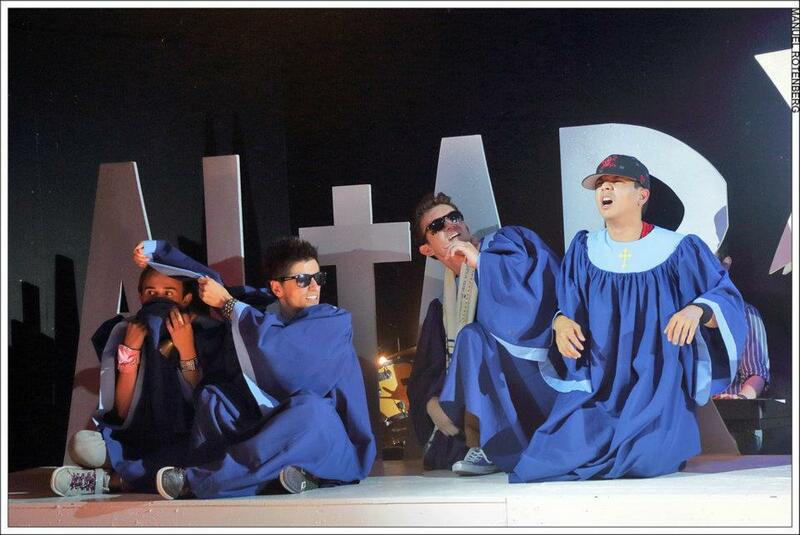 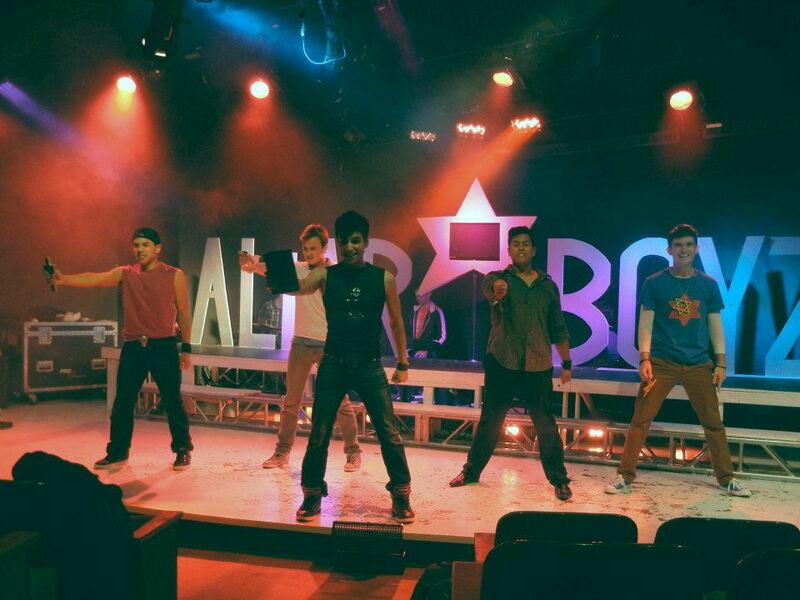 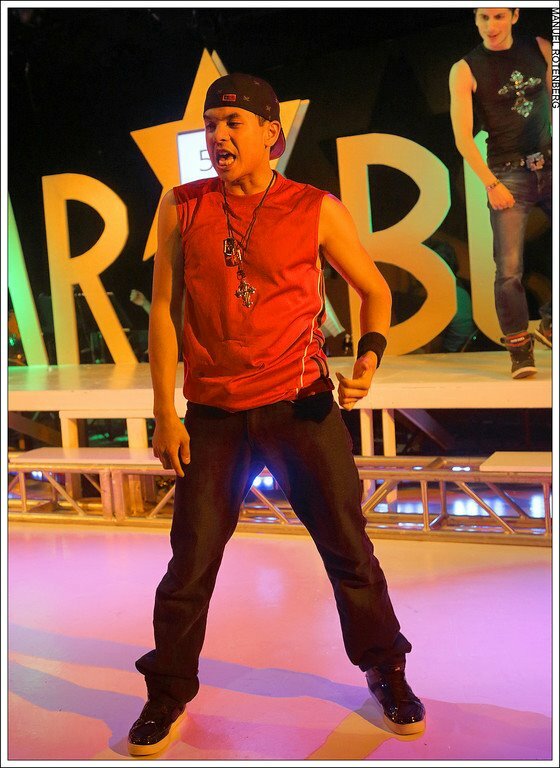 With their tight harmonies and spectacular choreography, the ALTAR BOYZ will delight your audiences. As they perform their signature hits such as 'Rhythm In Me,' 'The Calling,' and 'I Believe,' the Boyz question their loyalty to each other and ask whether or not faith is really holding them together. 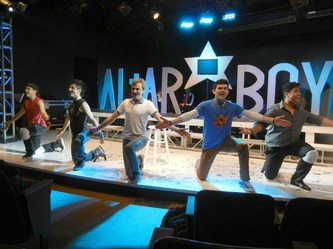 They finally deliver a message of unity, that 'there is no star as bright as its constellation, no harmony in a single voice. 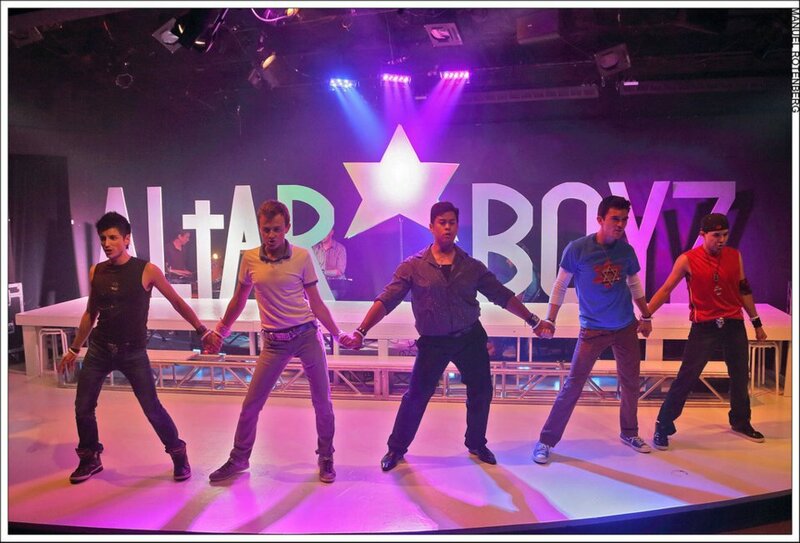 "As for Longton’s hand-picked cast, not only are they as age-appropriate as any Altar Boyz I’ve seen, each and every one does thoroughly winning work." 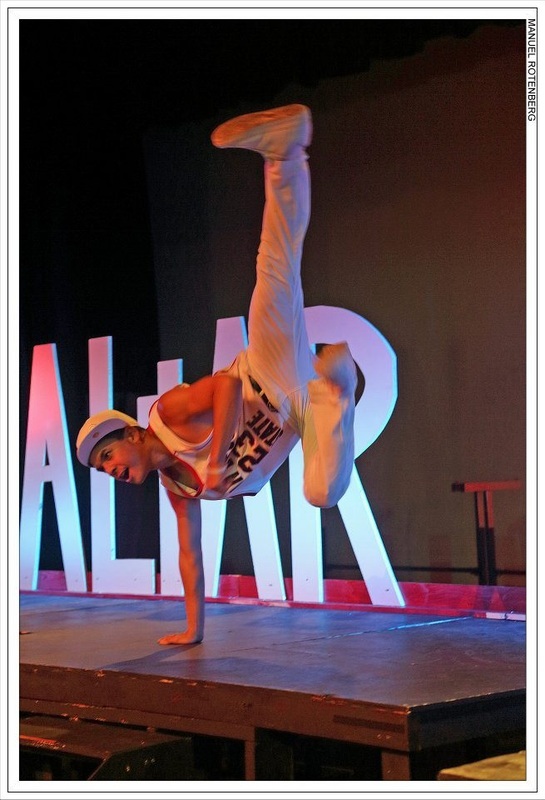 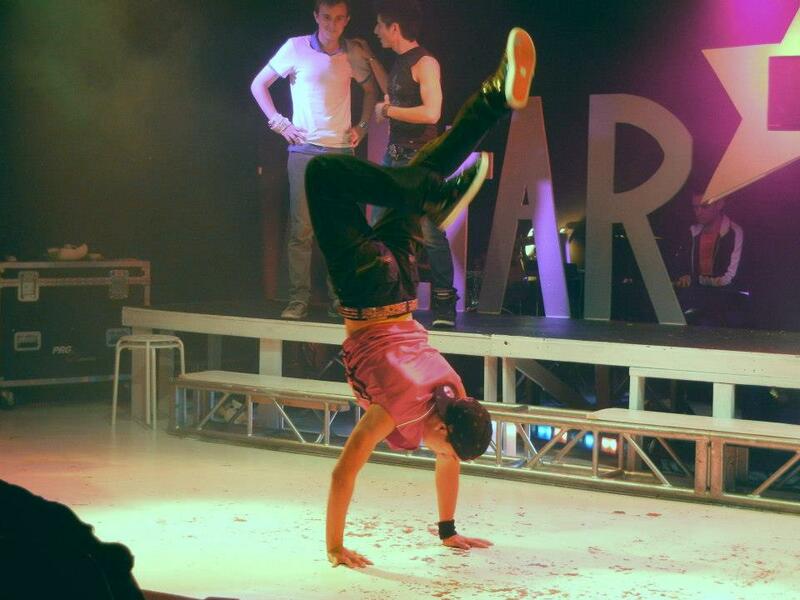 "Tuazon is a spunky, cute-as-a-button, sharper-than-usual Luke, who can bust a rhyme (or a move) with the best of them, including some gravity-defying hand-and-headstands. " 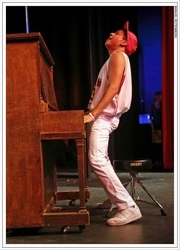 "Shaun Tuazon (who has played a drag queen in two San Diego shows earlier this year) is convincingly macho as as the break-dancing Luke, the band's not-too-bright van driver, fresh from rehab for a bout with "exhaustion." 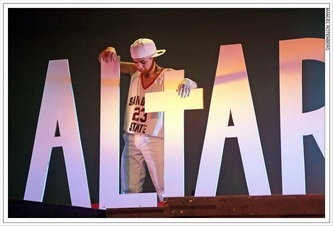 "WWJT- What would Jesus tweet? 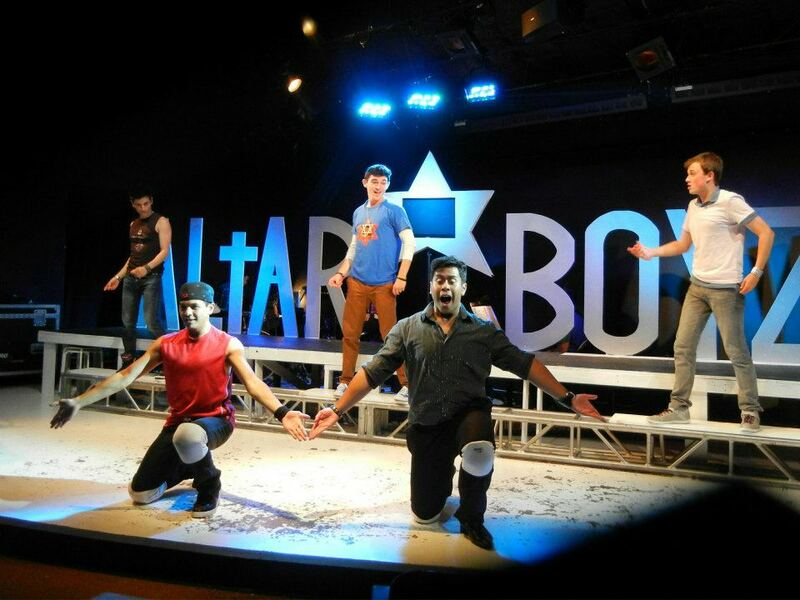 He seems to have direct, multimedia contact with the Altar Boyz, a fictional Christian boy band in a Raise the Praise tour, now making a stop at Diversionary Theatre." 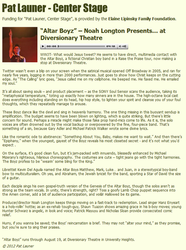 It’s all about saving souls – and product placement – as the SONY Soul Sensor scans the audience, taking its “metaphysical temperature,” toting up exactly how many sinners are in the house. 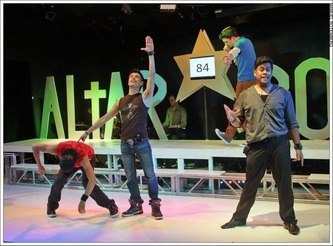 The high-octane local cast does everything including standing on its head, hip hop style, to lighten your spirit and cleanse you of your foul thoughts, which they repeatedly manage to arouse. 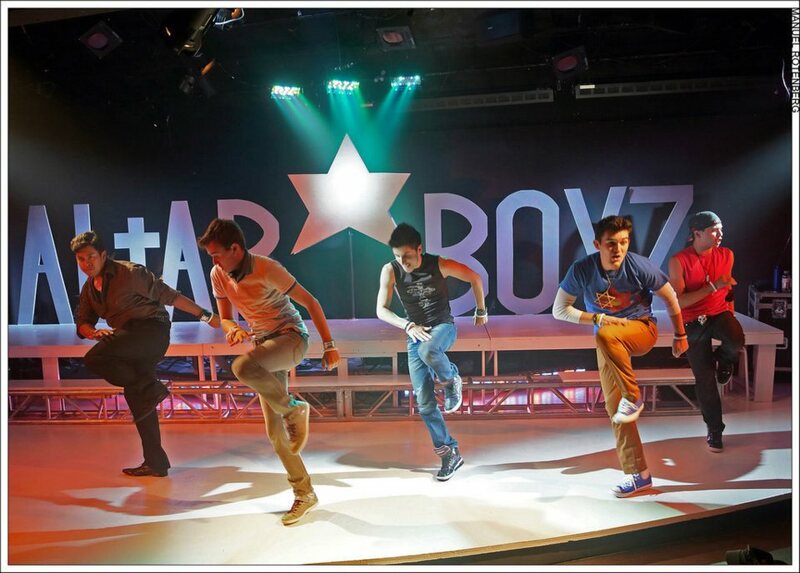 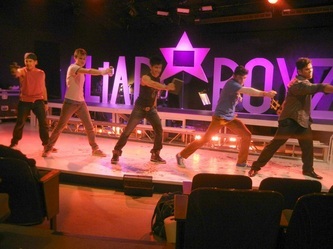 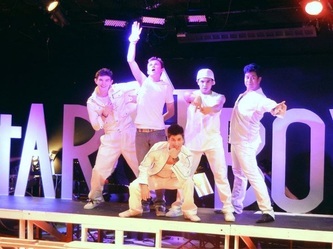 These Boyz dance like the devil and sing in heavenly harmony. 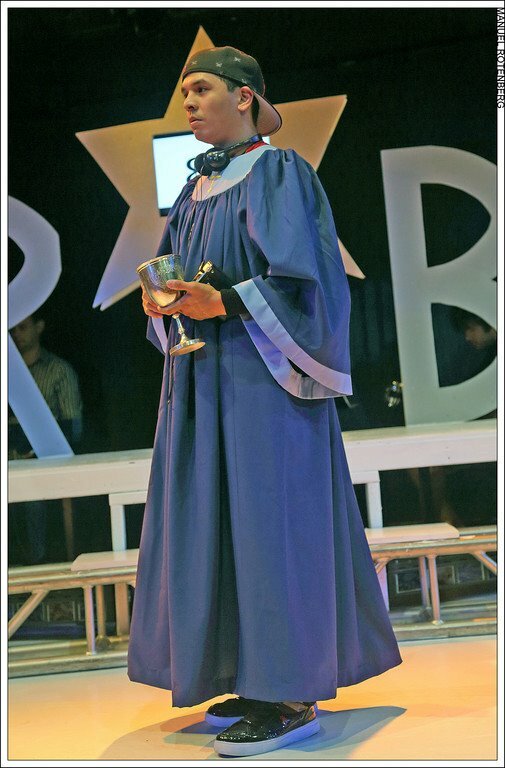 The one thing missing in this buoyant sendup is amplification. 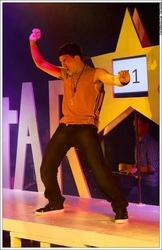 The budget seems to have been blown on lighting, which is quite striking. 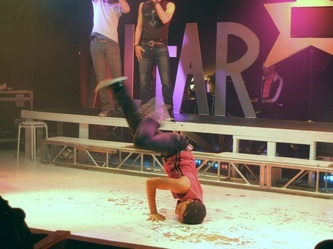 But there’s little concern for sound. Perhaps a miracle might make those fake prop hand-mics come to life. 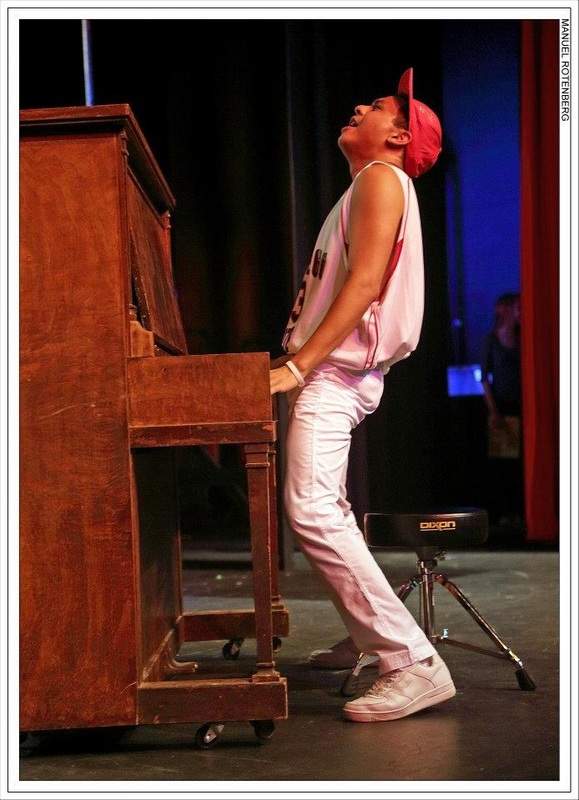 As it is, the solo voices are often drowned out by the vocal backup or overpowered by the fine, four-piece band. 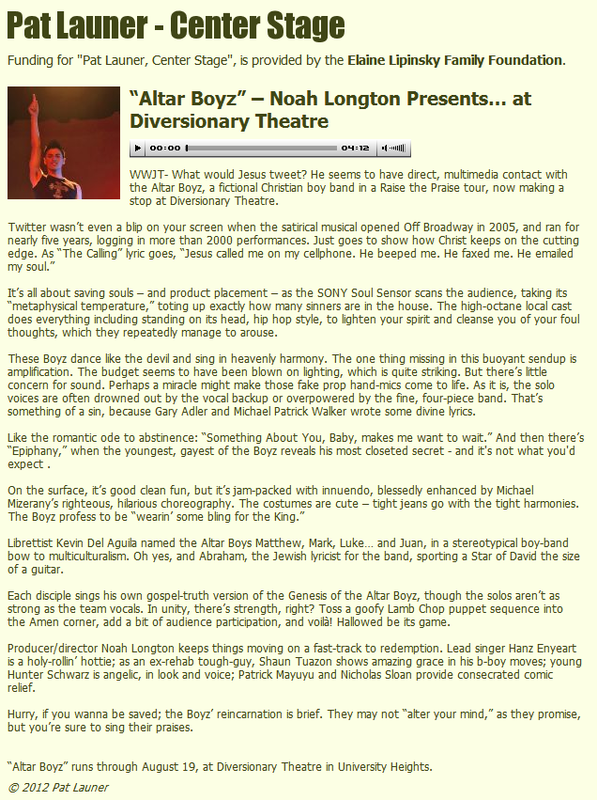 That’s something of a sin, because Gary Adler and Michael Patrick Walker wrote some divine lyrics. 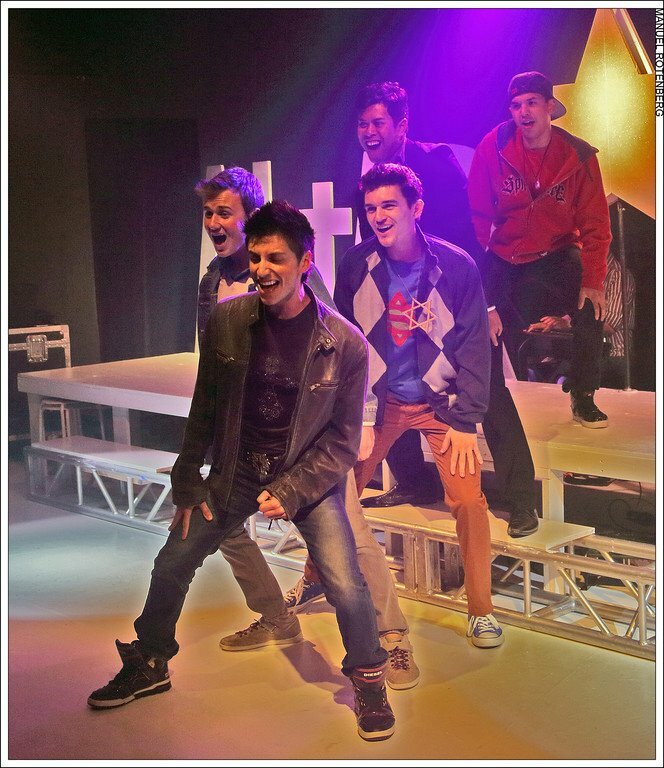 Like the romantic ode to abstinence: “Something About You, Baby, makes me want to wait.” And then there’s “Epiphany,” when the youngest, gayest of the Boyz reveals his most closeted secret - and it's not what you'd expect . 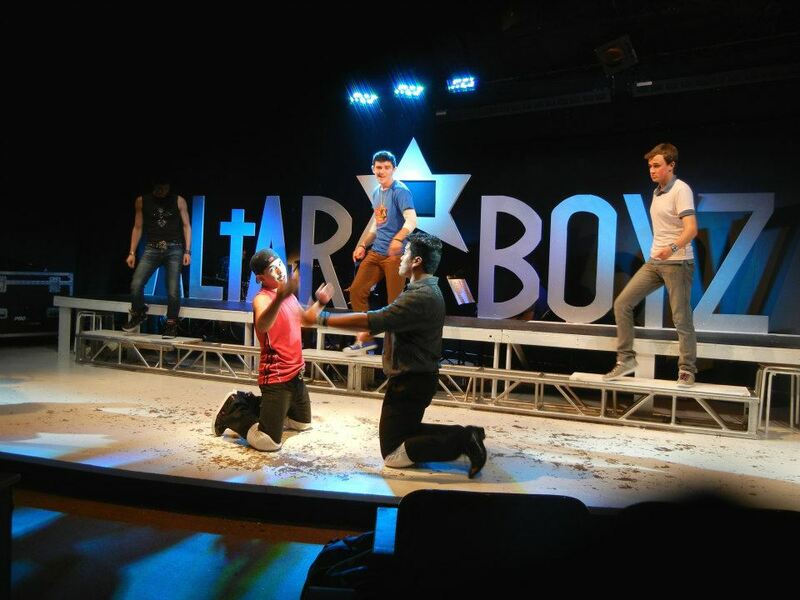 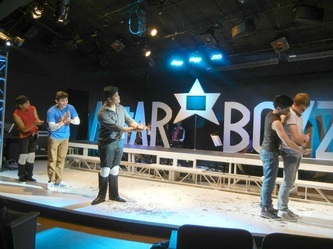 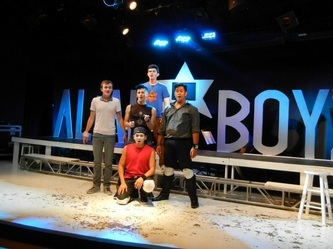 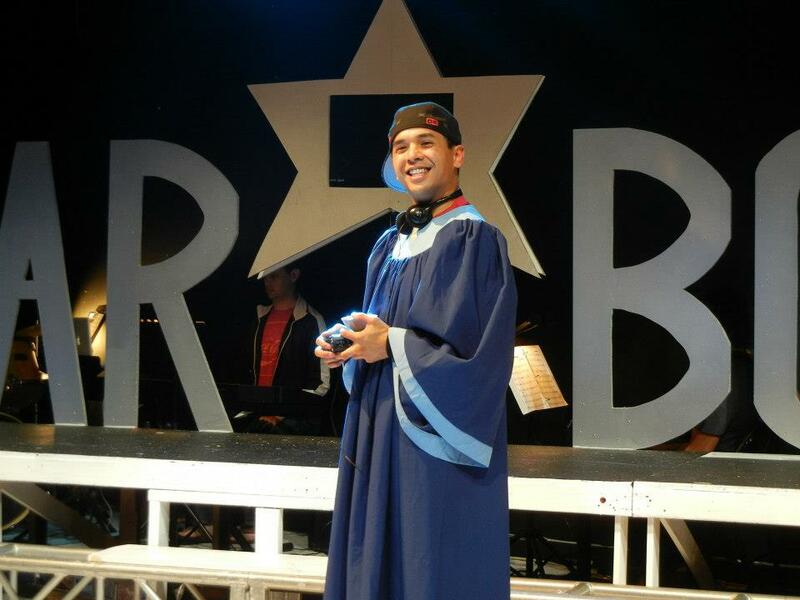 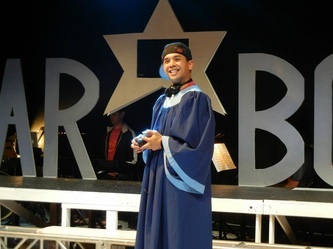 Librettist Kevin Del Aguila named the Altar Boys Matthew, Mark, Luke… and Juan, in a stereotypical boy-band bow to multiculturalism. Oh yes, and Abraham, the Jewish lyricist for the band, sporting a Star of David the size of a guitar. 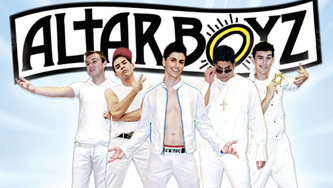 Each disciple sings his own gospel-truth version of the Genesis of the Altar Boyz, though the solos aren’t as strong as the team vocals. In unity, there’s strength, right? 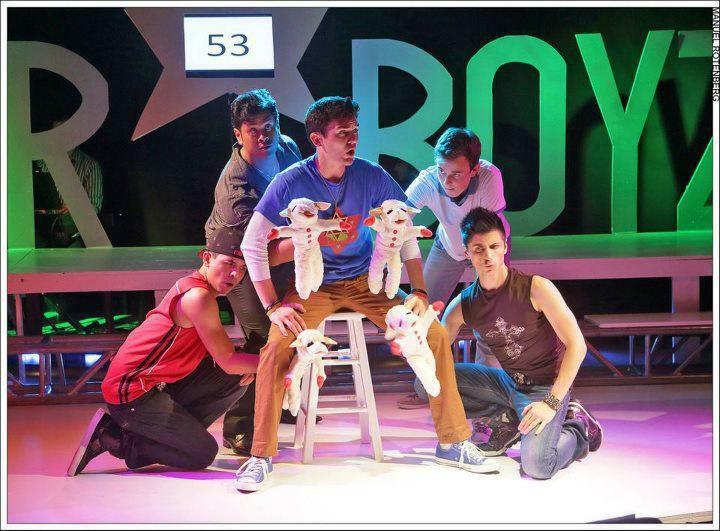 Toss a goofy Lamb Chop puppet sequence into the Amen corner, add a bit of audience participation, and voilà! 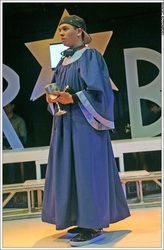 Hallowed be its game. 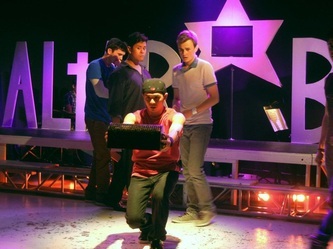 Producer/director Noah Longton keeps things moving on a fast-track to redemption. 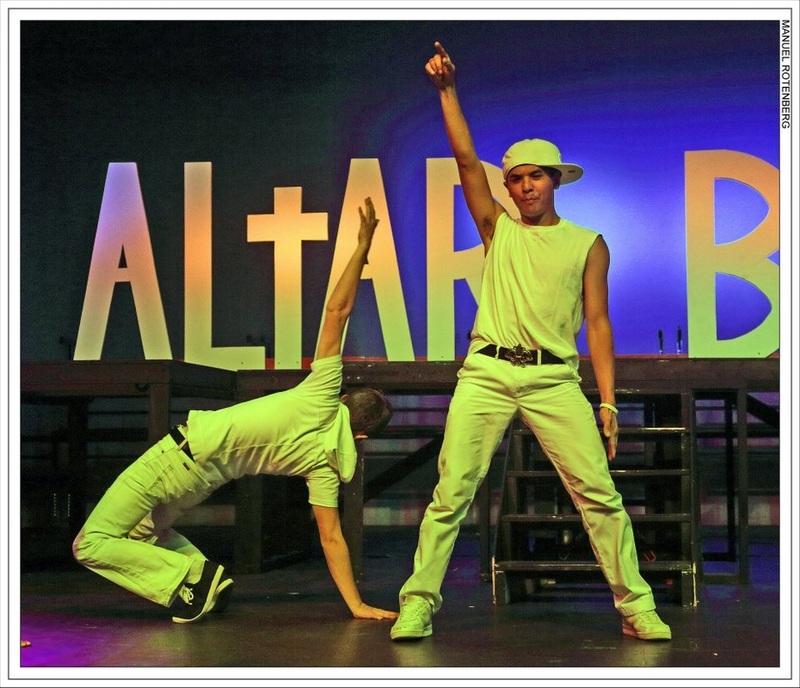 Lead singer Hanz Enyeart is a holy-rollin’ hottie; as an ex-rehab tough-guy, Shaun Tuazon shows amazing grace in his b-boy moves; young Hunter Schwarz is angelic, in look and voice; Patrick Mayuyu and Nicholas Sloan provide consecrated comic relief. Hurry, if you wanna be saved; the Boyz’ reincarnation is brief. They may not “alter your mind,” as they promise, but you’re sure to sing their praises." 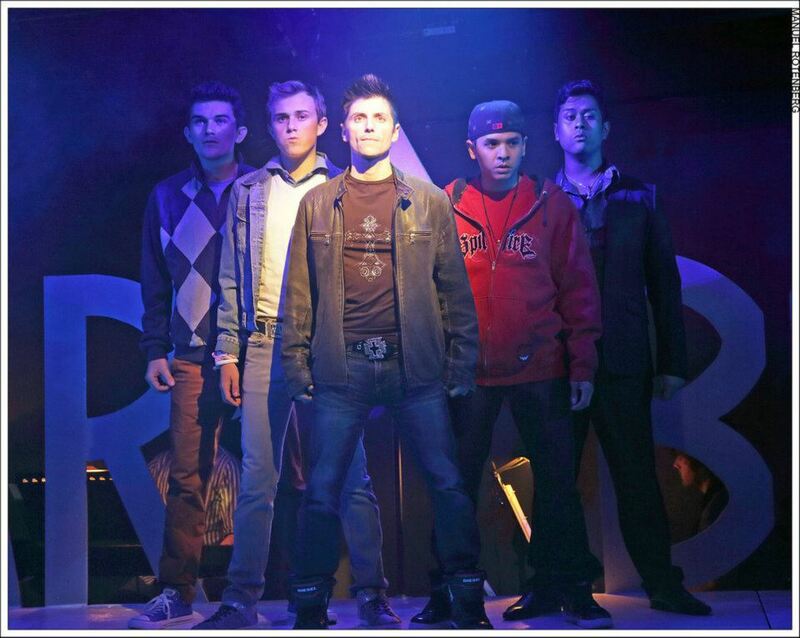 San Diego Gay & Lesbian News (Review):"Each character represents a boy band type, but all are played with such energy and affection that they don’t come across as stick figures." 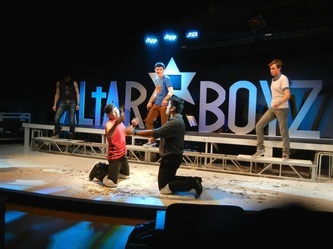 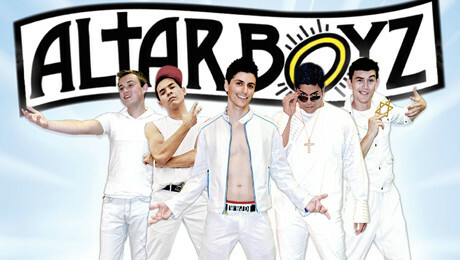 "Altar Boyz may not be a religious experience, but it’s good for laughs, especially if you’re one of those now-grown Catholic kids who was a) terrorized by nuns, b) terrified by the confessional booth, c) raised on “Church Rulez,” as one of the show’s songs goes, or d) all of the above." 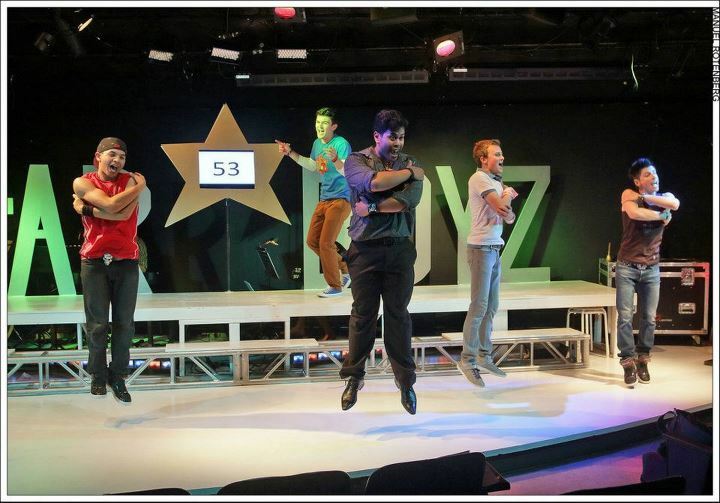 "The local cast of this version demonstrates that energy, enthusiasm, and tight dancing can overcome any number of other sins."